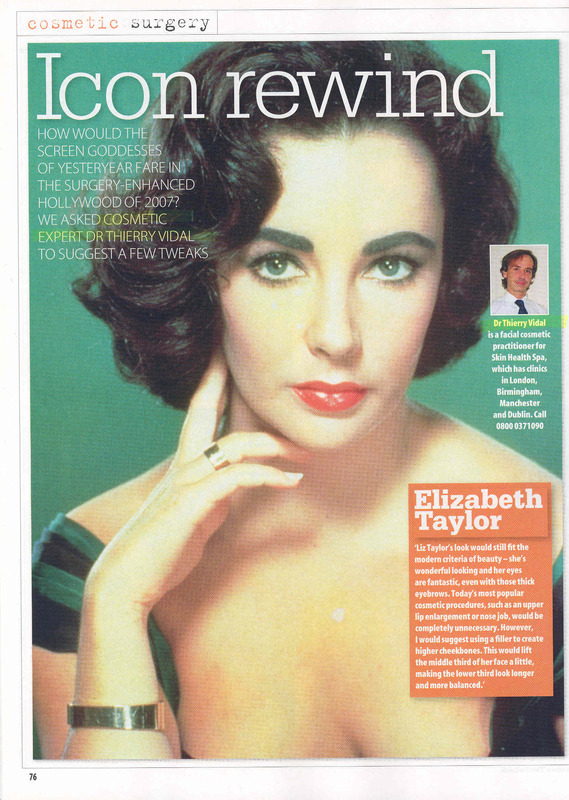 london doctor dr Vidal is one of the very few practitioner to offer this advanced technique of rejuvenation for the eye and eyelid area. This is an article about the eye area management and the “doe eye” technique written by Dr Thierry Vidal and published on ezinearticles.com. The eye area (upper and lower eyelids, eyebrows, eyelashes) is one of the most important cosmetic unit of the face. The main facial muscle of this area is the orbicularis oculi muscle. Ageing of this zone will lead to a tired aspect with a diminished eye size, a skin excess or eyelid heaviness, some wrinkles (crow’s feet) and a hollowness of the lower eyelid area. Dr Claude le Louarn (1) has shown that one of the most important cause of the facial ageing process was the repeated facial muscles contractions leading to some fat being expelled toward an adjacent area. This is associated with an increased resting tone of the facial muscles leading to a shortening and a straightening of these muscles. The orbicularis oculi muscle straightening and shortening with age will attract the eyebrows downward which creates a pseudo skin excess and a heavy upper eyelid. At the lower eyelid level the repeated contractions of the orbicularis oculi will modify the fat layer and expel some fat toward the medial palpebral pocket thus creating a hollowness of the area. 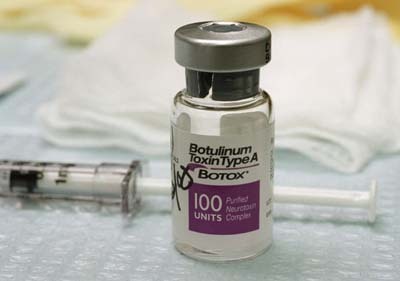 As the muscular participation in this ageing process is so important, Botox (botulinum toxin A) is naturally the best way to manage and prevent the ageing of the peri-orbital area. For the rejuvenation of the peri-orbital area we use botox by doing three to four injections laterally on the orbital part of the orbicularis muscle. 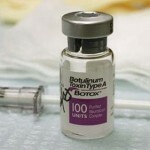 Each point is 2.5 units (2ml saline in a 100 units botox vial). We also inject another point into the palpebral part of the orbicularis. This latest point is the very advanced one. We start straight under the tail of the eyebrow. This first point is the highest. Exact injections sites are determined by asking the patient to smile. These sites follow the orbital rim curve. The last site is situated on the same vertical line than the first. This last point is located on the pars malaris of the orbicularis muscle. The most remarkable point, the one that makes this procedure an advanced one, will be done into the palpebral, pretarsal part of the upper eyelid. This will slightly lift the lateral canthus (corner of the eye). This point has been first described by Dr Le Louarn in 2006 (2). This point is the “doe eye” in french “oeil de biche ” injection. 1 to 2 units are injected along the eyelashes line with the needle hold horizontally. This injection is done very superficially, in a sub-dermal plan above the muscle, creating a small bubble visible at the surface of the skin. The muscle is not directly injected. This point is done only to female patients as it enhances a feminine shape of the eye by lifting the lateral canthus (it is a “doe eye” effect). This technique will re-open a tired eye and ease the heaviness of the upper eyelid. Eyelashes are nicely enhanced and a beautiful almond shape is accentuated. We started to inject like this in 2006. Today, after several hundred of these palpebral injections we have not seen any adverse effect such as a ptosis, a dryness or a diplopia. Side effects are rare and limited to a minimal bruising of the upper eyelid. (1) Claude Le Louarn, Bathias, Buis: structural aging: The Facial Recurve Concept Aesth Plast Surg: 31: 213-218, 2007. 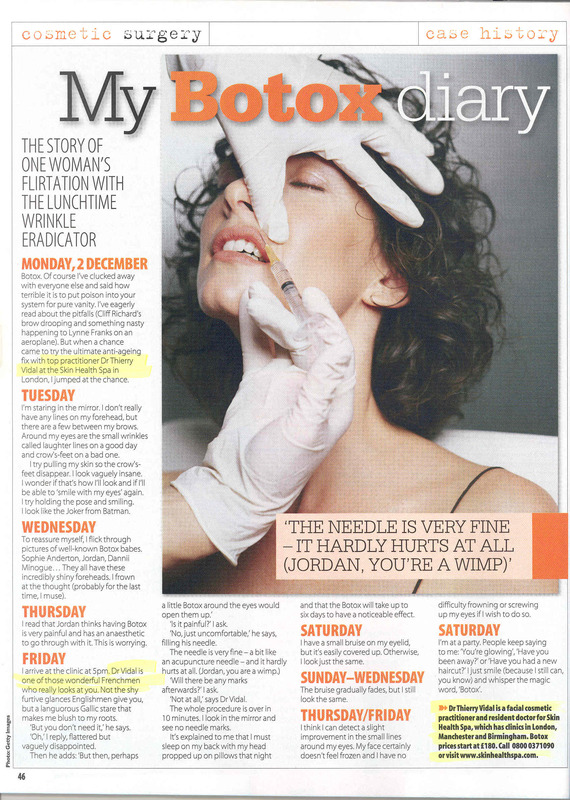 Dr Thierry Vidal is a cosmetic doctor practicing in London. He specializes in advanced non surgical procedures such as Botox and laser liposuction.